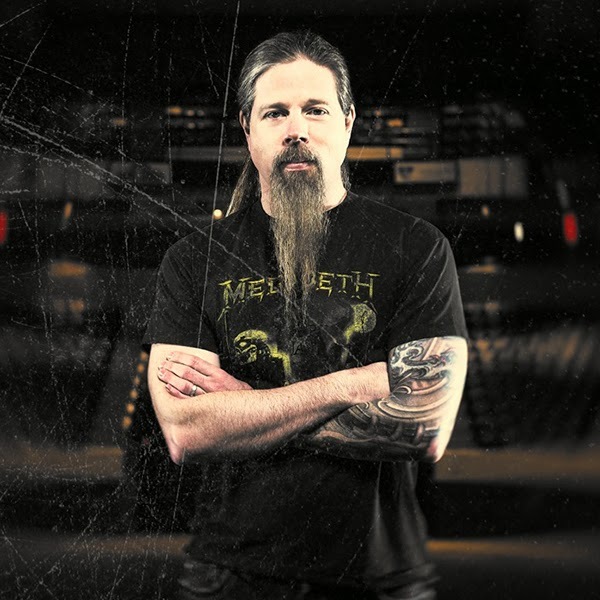 After months of rumors and speculation, Megadeth have officially confirmed Lamb Of God drummer Chris Adler will join the band as a guest player on their new studio album. "Chris is a tremendous talent, and an amazing person,” says leader Dave Mustaine. “He is going to bring a new level of excitement and energy to Megadeth that the fans are going to lose their minds over. I have nothing but respect for my previous drummers, but this is going to absolutely KILL! Back in 1989, Megadeth originally worked as a three piece — guitar, bass and drums — when we laid down the framework to our Grammy-nominated platinum album 'Rust In Peace'. “I want to thank the other members of Lamb Of God for allowing this opportunity to take place for all of us in the metal community." “Chris has been an endearing friend to us in Megadeth for many years now, and he truly appreciates our music and its legacy,” adds bassist David Ellefson. “His drumming has forged such an innovative and ferocious path for metal music and I'm very proud that he is anchoring our rhythm section with us on this new album. I can clearly see a new dawn of 'utmost heaviness' unfolding in Megadeth's next chapter." Adler steps in to the studio lineup for the follow-up to 2013’s “Super Collider”, following the departure of Shawn Drover. Adler expressed his excitement about working with a group that inspired his own musical direction. "Megadeth was the game changer for me,” he explains. “Growing up, there was no other band that meant as much to my musical interest and direction. There is no doubt I would not be doing what I have been doing for the past three decades had I not stumbled across 'Killing Is My Business' and the bible of all metal, 'Peace Sells' in my formative years. About 10 years ago, Lamb Of God toured with Megadeth and I was able to share that story with Dave and David, and we have kept in touch ever since. “When Dave called me a while ago and asked if I was interested in making a thrash metal album with him, I felt like I must've been on a hidden camera show. I was trying to play it cool, but I was speechless other than YES! Once I called my wife and my band guys to let everyone know, I had some time to really think about it and how I can best fit into this situation. I'm coming into this on fire. “There is an incredible amount of respect, but the goal here is to make the very best thrash album we can — not just throw names in the CD booklet or be a yes man. Together, I believe we can do something very special! Get ready for a very exciting chapter in the Megadeth legacy." Guitarist Chris Broderick announced his exit from the group within hours of Drover’s news last fall, and while there remains no official word from Megadeth as to their plans for a replacement, Mustaine recently revealed that he was holding auditions to fill the position. Rumors have been circulating that guitarist Kiko Loureiro from the Brazilian band Angra may be involved in the new album.